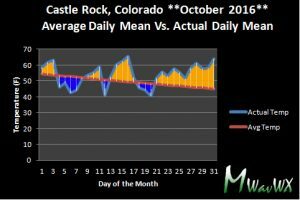 The Denver and Castle Rock areas set a handful of high temperature records and even low temperature records (record warm lows) in the month of October. 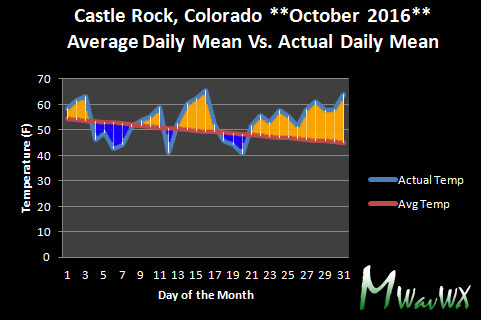 Denver finished a whopping 6.9 degrees above average for temperature in the month of October and Castle Rock finished 4.31 degrees above average. The month mainly catapulted into Denver’s top 5 warmest thanks to a stretch of very warm weather at the end of the month. Temperature records are one thing; they can be tied or broken almost any time of the year with an extended stretch of warm or cold weather. There is one record however that is more notable and we’re on our way to possibly breaking it this year. 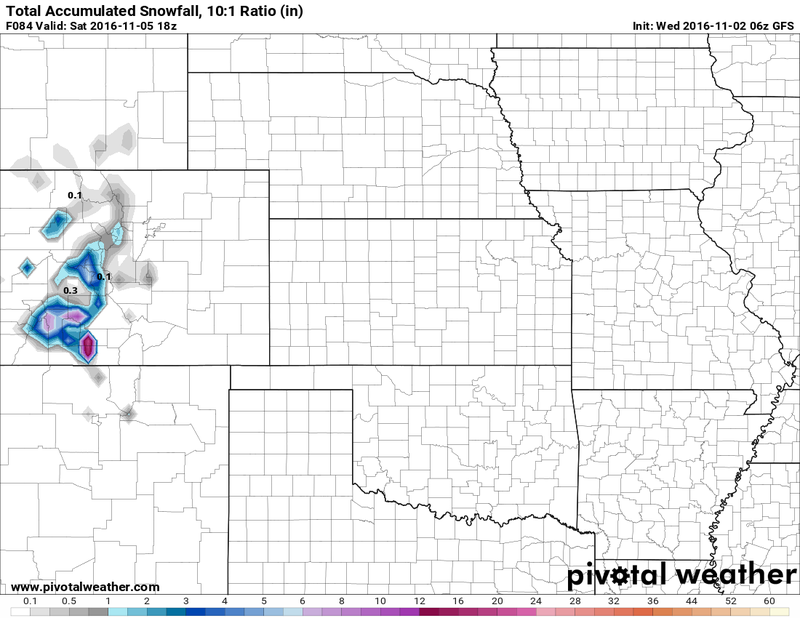 The latest date of first snow for Denver is November 21, set in 1934. Could We Break this 82 Year Old Record? While it is not guaranteed, this year poses a better chance than normal to set a record for latest first snowfall. The thing that makes this difficult to determine is that as good as our weather models are, they have trouble with things more than 7-10 days out. So, let’s take a look at the weather leading up to that date with a probability of if we see snow and an uncertainty level of that forecast based on how far it is. 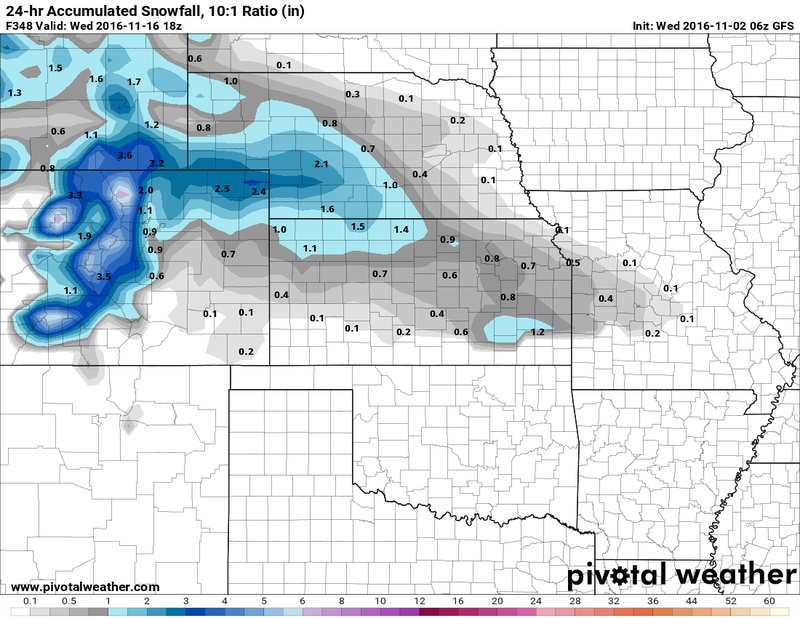 GFS total forecast snow accumulation through Saturday 12PM Nov 5. 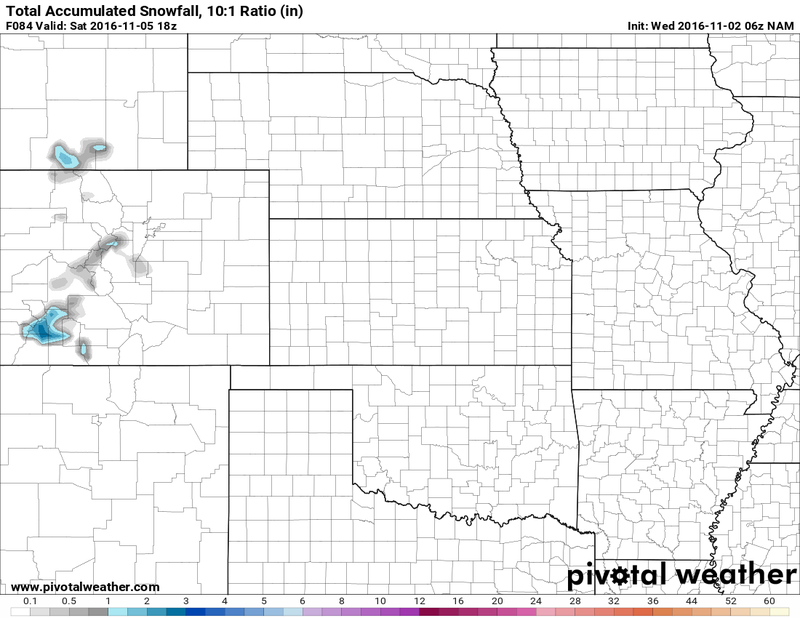 NAM total forecast snow accumulation through Saturday 12PM Nov 5. It looks pretty certain we won’t see snow in Castle Rock this week. As we get further out into time, we have to change our tactics a bit to see if we have any snow chances. With that, our accuracy may decrease and uncertainty may increase. 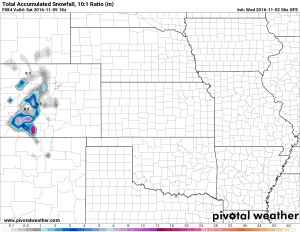 In the week of November 7, by Tuesday November 8 we see the first hint of measurable snowfall encroaching on the front range and Palmer Divide regions. 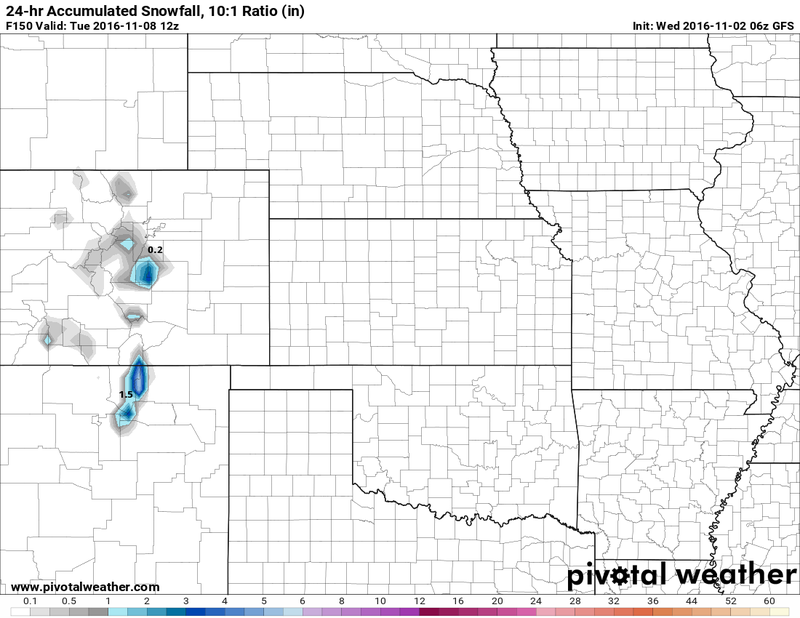 While 0.2 inches isn’t much, it would count as an official snowfall, but notice Denver is still at 0. This would mean even if Castle Rock did eek out a half an inch, it officially wouldn’t count. The other problem with putting too much stock into this is that it is the GFS model and it can be inaccurate so far out. 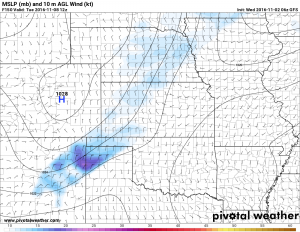 In face, even though it shows snow accumulation during this time, the very same model does not snow an atmosphere conductive to snow at that time. 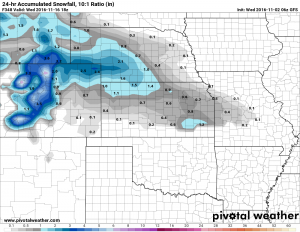 As with any longer range forecast this is subject to change due to uncertainty, but given the signs we see from the atmosphere on multiple models the chance of snow in Castle Rock the week of November 7 looks quite low. The week of November 14 looks a little more interesting. 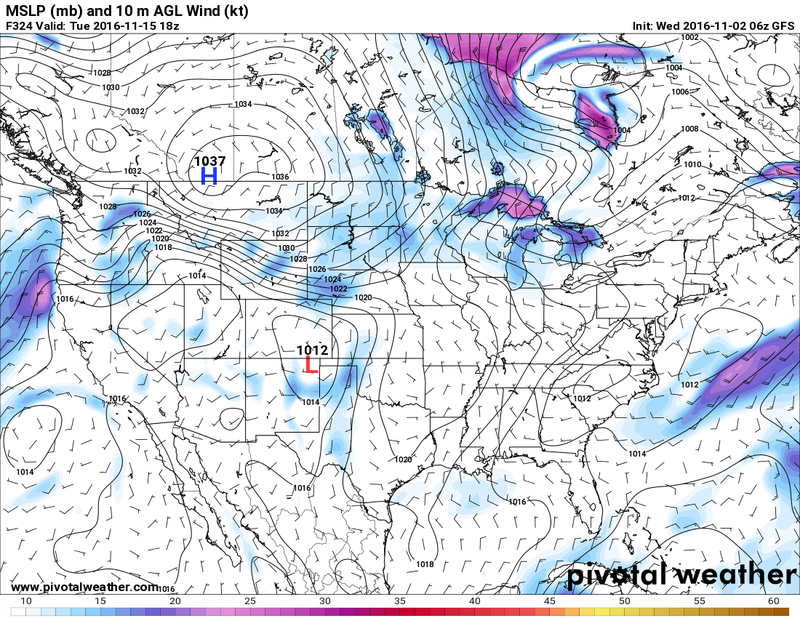 Notice the lee-side low that sets up in Southeastern Colorado with a strong high pressure to the North in Canada. 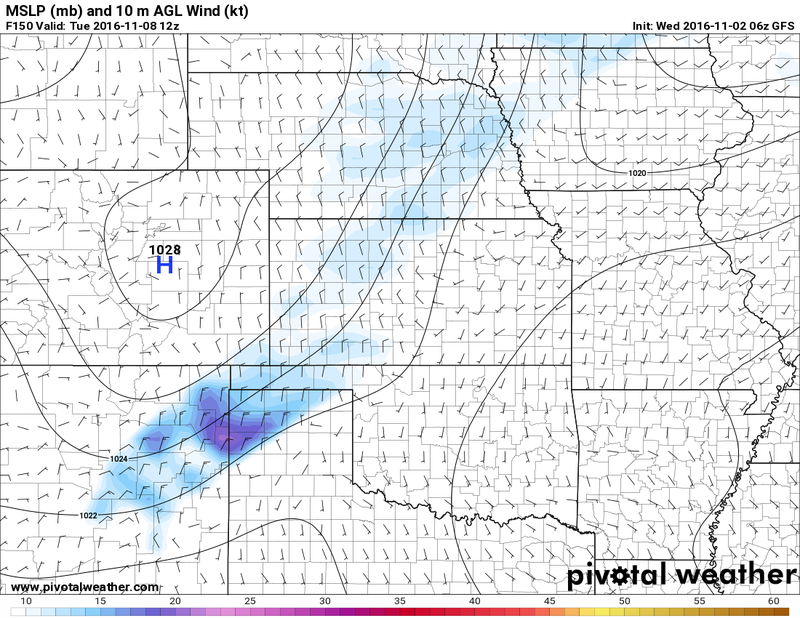 This could be beneficial to seeing a brief bit of snow along the front range. Because we are looking so far out now, our options of models get limited. 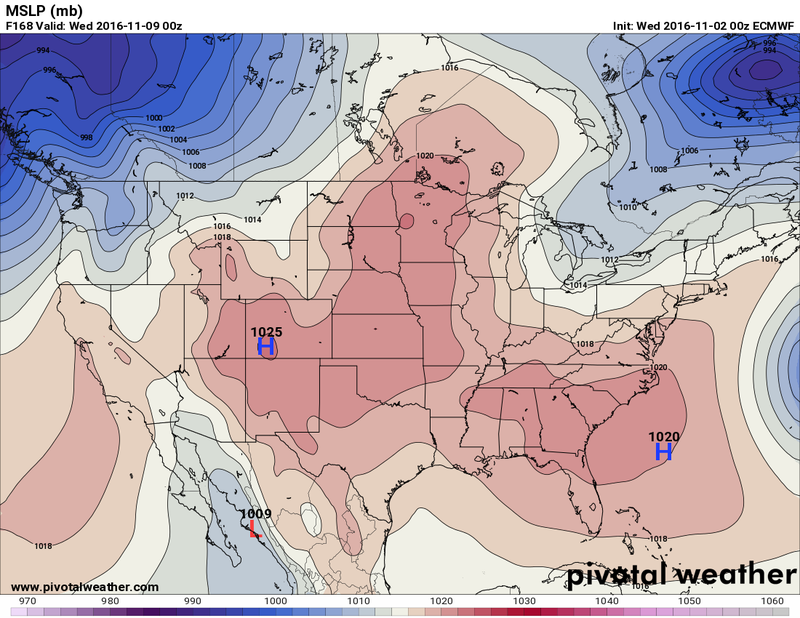 On top of that, the GFS is notoriously bad as we get this far out. The main takeaway here is that while it does show a chance for snow here and there before November 21, the overall weather pattern we are in is not indicative of big snow storms or colder weather. Not a single model across the board shows a major shift in our pattern over the next few weeks. This means that while we may get a cold shot or two before November 21 the chance of snow is pretty low before that time.